Needlepoint stitches are not complicated and require little time to learn. A needlepoint canvas is simply a grid of squares and stitches are made at an angle to cover the canvas. 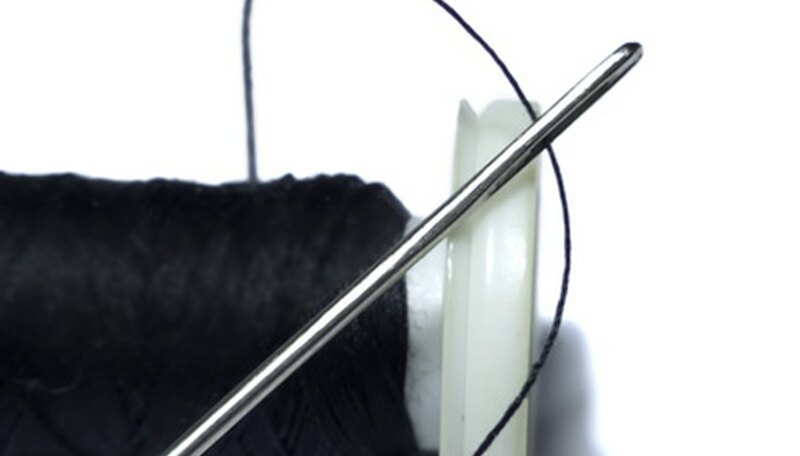 Use a continuous-motion method by inserting your needle in the front of the canvas and bend it slightly to bring the needle back to the front in the appropriate spot. Whether you are a beginner or an expert, a needlepoint project will benefit if you use high-quality yarns and canvas. The half cross needlework stitch is formed by bringing the yarn from the back of the canvas to the front, making a diagonal stitch one row over and up to the right. Bring the needle down in the back and re-entering the canvas front from the hole directly below. Repeat this stitch across the row. The tent stitch, also called the continental stitch, travels from right to left. On the canvas grid, bring the threaded needle up from the back, move one row over and up to the right. Reenter the canvas front one row over and down to the left. Make your stitch one row over and up to the right. Repeat across the row. The basketweave stitch skips rows to allow for less stitch distortion. Start at the top right corner of the canvas, making a diagonal stitch one row over and up to the right. Reenter your canvas two rows down and make a diagonal stitch one row over and up to the right. Continue in this fashion, moving to the right side of the canvas area to be worked. Then repeat the process traveling to the left to fill in the blank spots.